The full featured M1500 Manual Squeeze chute is has everything you need to manage a smaller herd with easy temperament and the occasional smaller bull. It features time tested headgate, formerly used with our ledgendary XL Manual Chute) with good leverage and holding power. The double sided center squeeze holds cattle upright by not knocking animals off center like other brands. A fully adjustable floor means you can adjust the chute for a wide range of animal sizes. The 1500 Chute series features a roll-door tailgate that is simple and easy to use. Drop fingers along the side of the chute side allow for good access and slam latches make them easy to close. All Powder River Chutes include an important side exit to aid in exiting animals that may be in distress, it also can act as great sorting tool. If your budget is more of a concern than the latest features this chute is a great option. The new for 2017, 1500 series squeeze chutes are placed to become the high value option in a sea of low priced competition. When budget is a concern the 1500 series chutes should be high on your radar. The 1500 Series chutes represent the best features in an entry level all steel squeeze chute. 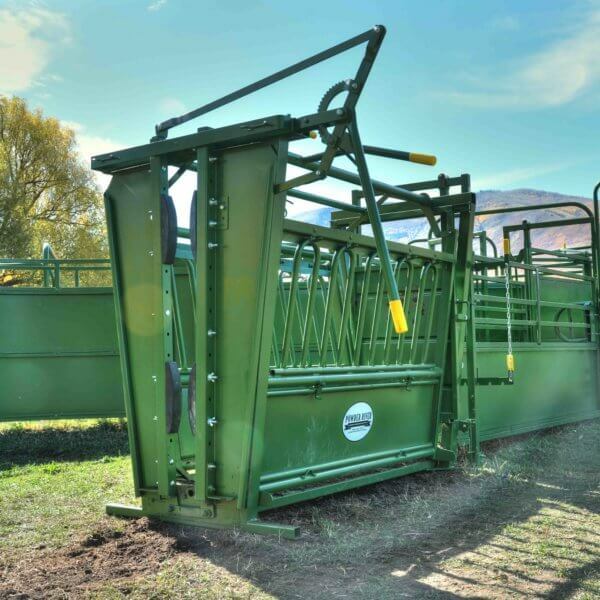 The full featured M1500 Manual Squeeze chute is has everything you need to manage a smaller herd with easy temperament and the occasional smaller bull. It features time tested headgate, formerly used with our legendary XL Manual Chute, with good leverage and holding power. The double sided center squeeze holds cattle upright by not knocking animals off center like other brands. A fully adjustable floor means you can adjust the chute for a wide range of animal sizes. The 1500 Chute series features a roll-door tailgate that is simple and easy to use. Drop fingers along the side of the chute side allow for good access and slam latches make them easy to close. 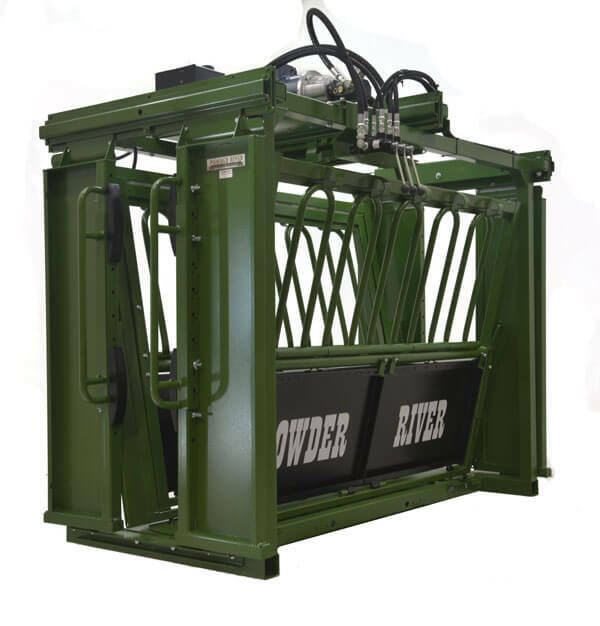 All Powder River Chutes include an important side exit to aid in exiting animals that may be in distress, it also can act as great sorting tool.